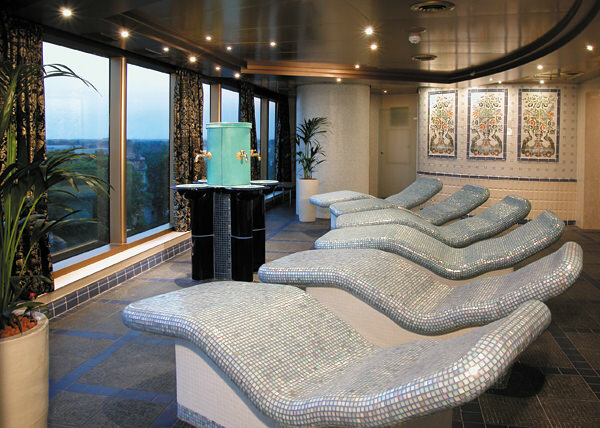 One of the four 1,848-passenger Vista-class ships, the 2003-built Oosterdam (pronounced oh-sterdam) and her sisters share a similar design to Carnival’s Spirit-class ships. Touches of whimsy pop up here and there via bright colors and the odd funky piece of art or furniture style. Overall, though, the ships are casually elegant and very spacious. Pleasant public rooms comprise both traditional spaces and modern ones. Lovely old-world-style rooms include the Explorer’s Lounge for low-key musical performances, drinks and high tea. The cozy Atrium Bar on the Main Deck has the feel of a romantic 1930s nightclub while the popular Ocean Bar is also a throw-back and wraps around three-deck atrium with its Waterford crystal chandelier. 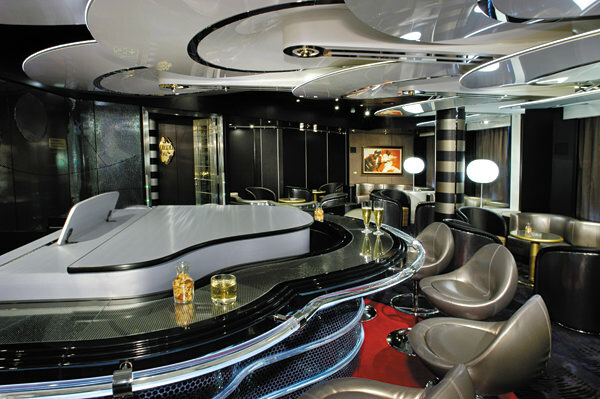 Funkier contemporary spaces include the piano bar, sports bar and top-of-the-ship Crow’s Nest, an observation lounge during the day and nightclub/disco at night. The Queen’s Lounge puts on cabaret-style acts evenings and by day is the Culinary Arts Center for cooking demos. Among the most popular spots on the ship is the Explorations Café, a combo coffee shop and Internet center with a well-stocked library — one of the best at sea. For the little ones, the KidZone and WaveRunner children/teen centers are roomy and bright. Visit the well-equipped gym, the outdoor basketball/volleyball court, or take a stroll around the wraparound Promenade Deck and soak up the great views. The large Greenhouse Spa boasts a thermal suite (a series of saunas and other heat-therapy rooms) and a hydrotherapy pool for relieving muscle tension. Up on deck are two swimming pools–the main one with a retractable roof–and a couple of hot tubs. The pool at the stern has great views. 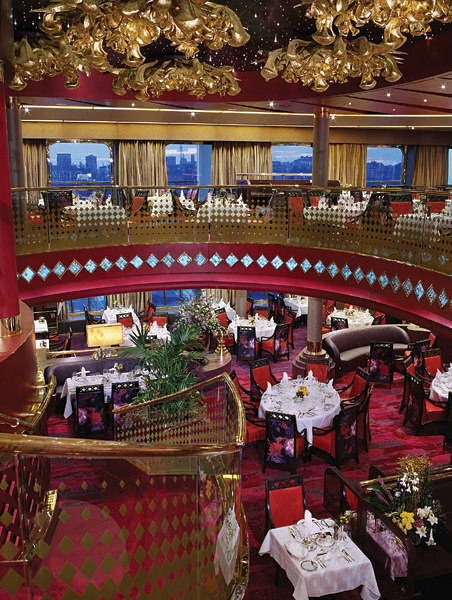 When it comes to mealtime, options include the glam two-deck main Vista Dining Room. The smaller and more intimate Pinnacle Grill, the place for steaks and fish, has lovely marble floors, gorgeous Bulgari place settings, and ornate sculpture-like chairs. For casual dining, head to the Lido buffet restaurant, which also has a new Italian section called Canaletto. Cabins are among the industry’s largest, with insides and outsides ranging from 185 to 200 square feet and all of them having a small sitting area and a tub in the bathroom, plus a flatscreen TV and DVD player, makeup mirror, massage shower head, bathrobes, and super comfy bedding. The deluxe veranda suites and cabins in the stern are among the most appealing rooms because of the views and extra deep balconies. All suites guests are privy to private concierge lounge. 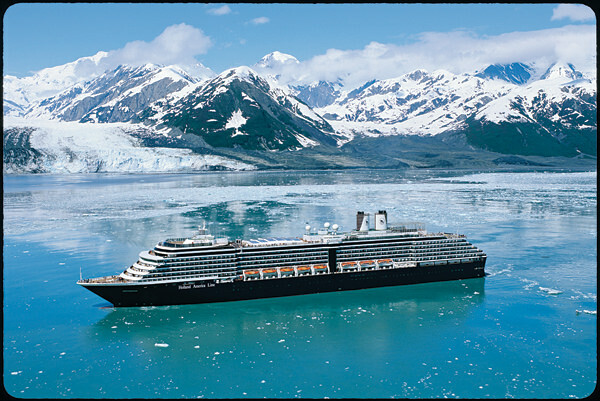 When I say that Holland America Line is , “A tradition unlike any other”, now you know what I mean!